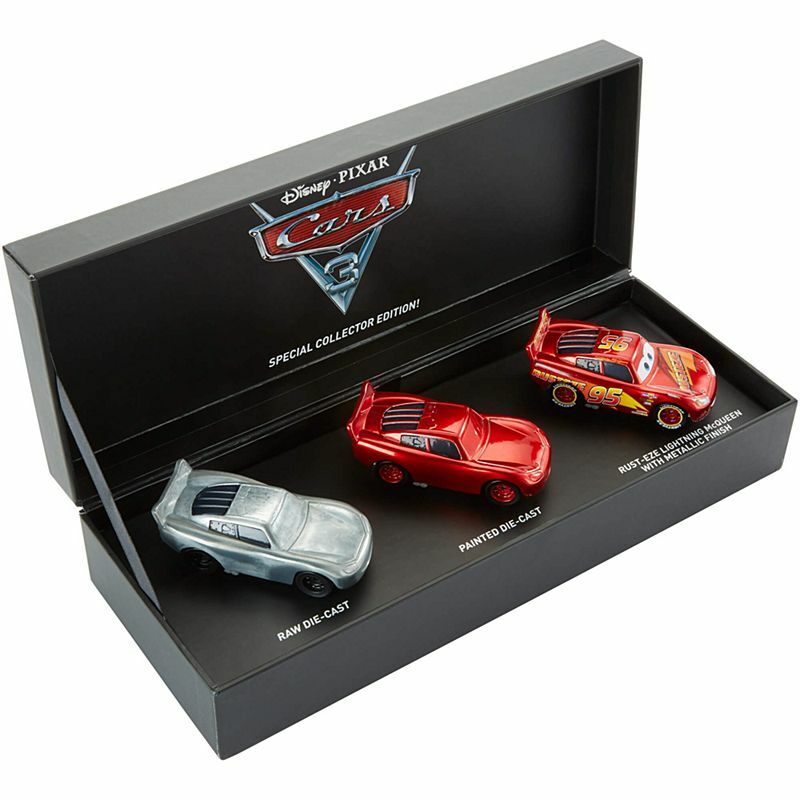 Step inside the exciting world of toy design with this unique San Diego Comic-Con 2017 Exclusive Cars 3 “The Making of Cars 3 Lightning McQueen” Collector’s Set by Mattel and Disney•Pixar! 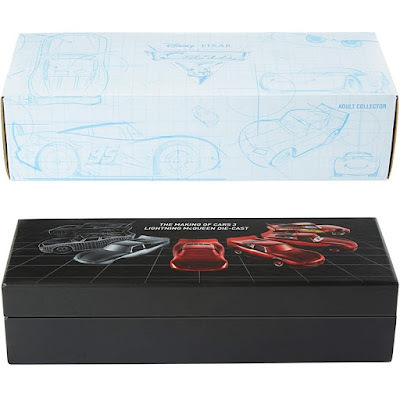 The three 1:55 scale die-cast Lightning McQueen bodies in this box set represent the ascending stages of the champ’s evolution and vehicle development. The first body shows the raw metal and plastic foundation of the car. The second enhances the car with added window deco and wheel rims. The third and final stage is the fully decorated, fine-tuned vehicle, with Lightning McQueen’s expressive eyes, beaming grin, headlights and signature Rust-Eze logos. This limited edition San Diego Comic-Con 2017 exclusive set comes in a black collector quality box with outside and inside graphics, hand sketches, and line art, showing Lightning McQueen from rough development to final vehicle rendering. 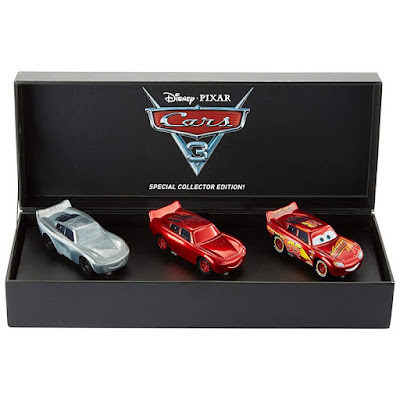 This deluxe Disney•Pixar Cars 3 set is available for pre-sale now at the Mattel online store for $30 for pick up at their Comic-Con booth next month.